TryLowCarb - 5 Carbs, 5 Ingredients per Recipe! Weight loss. More energy. Healthy living. Try low carb. A low carb diet, also known as a ketogenic or keto diet, is a diet in which you eat fewer than 50 grams of carbohydrates per day. When you consistently eat very few carbs, your body enters ketosis, a metabolic state in which your body uses ketones (derived from fat) as a source of energy instead of glucose (derived from carbs). When you cut carbs and eat more fat, your body will start to use the fat consumed as well as stored body fat as its main source of energy. When eating low carb, most of your energy comes from fat. The few carbs you do eat are from wholesome sources like vegetables, nuts and berries. On a low carb diet, 70 to 75 percent of the calories you eat every day come from fat, 20 to 25 percent from protein and about 5 percent from carbohydrates. You've heard it before – breakfast is the most important meal of the day! Why eat bland eggs every morning when you can enjoy waffles, pancakes, omelets, toast, cereal, muffins and even hot pockets? 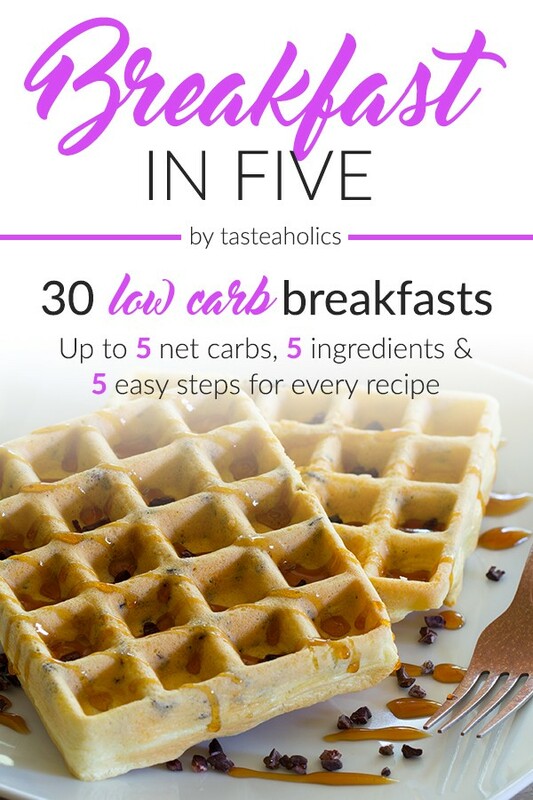 Get all these recipes, all 5 grams of net carbs or fewer using just 5 ingredients! Whether you're at work or in school, chances are you get stuck with a less than favorable lunch option. With Lunch in Five, you'll enjoy savory french crepes, creamy chowder, mouthwatering casserole and much more every day of the month that you can eat at home or on-the-go. Dinner is the hardest to prepare and the meal most commonly eaten at home. Enjoy unconventional burgers, heavenly steaks, gourmet-style seafood, mouthwatering sauces, sides and much more every day of the month. 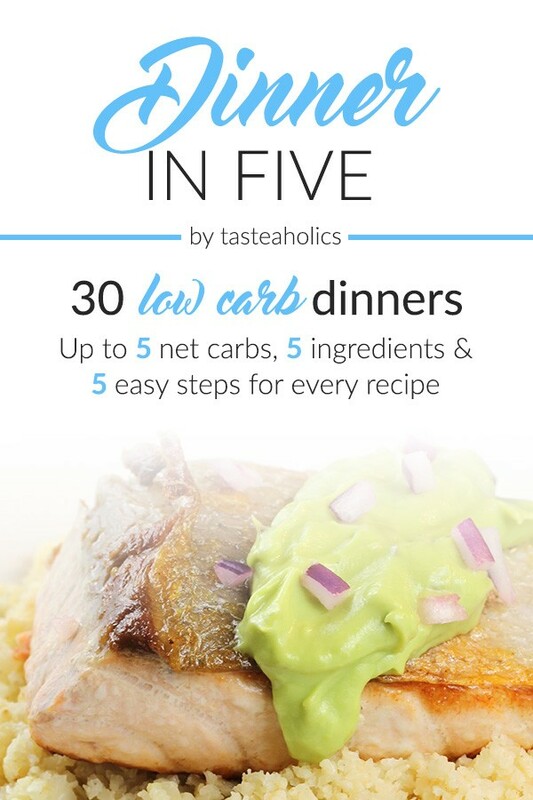 All using 5 ingredients and 5 grams of carbs or fewer! Low Carb Has Never Looked So Good! We are Rami and Vicky from Tasteaholics.com! 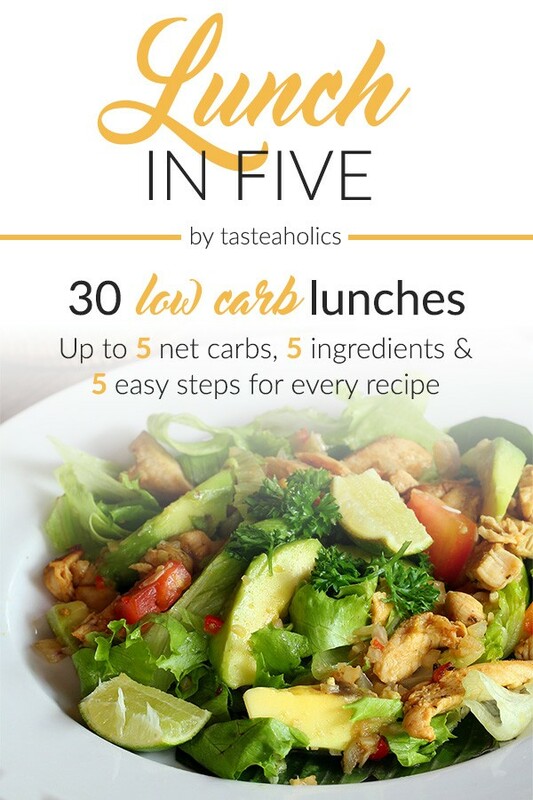 We created Tasteaholics to help others along their low carb journeys through research and recipes. We believe in healthy eating based on science and love to share our knowledge and experience with all of our users.